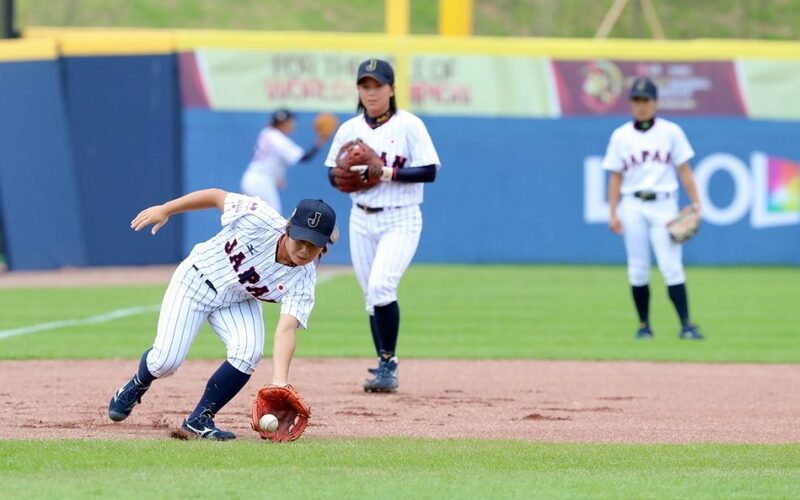 TOKYO　January 12, 2018 – Five-time (2008, 2010, 2012, 2014, 2016) defending world champions Japan have named 30 players to their preliminary national team roster for the WBSC Women’s Baseball World Cup 2018 in August. Of the 30 players, 17 players have national team experience. Two-time Women’s Baseball World Cup MVP Akiko Sato was notably absent from the list. The first training camp is scheduled for 23 February in Hyuga-Shi, Miyazaki, Japan. In the first stage of building the roster, Madonna Japan National Team manager Megumi Kitta reviewed candidates on video prior to calling on 95 players to tryout last November and December. The eighth edition of the women’s baseball world championship will be held from 22-31 August at USSSA’s new headquarters, the USSSA Space Coast Complex, in Viera. Madonna Japan will carry a 21-game World Cup win streak into Viera.